A year ago, I posted about Mini Me and their amazing paper dolls. Lucy has really enjoyed playing with them and until now, she was only allowed to get them out when Owen was taking a nap. In fact one day Owen wasn't even tired enough for a nap and Lucy politely asked if he could go sleep so she could get out the dolls. But our little boy has grown up and he's a bit more graceful now than he was as a 2 year old. So we checked out Mini Me again and discovered that they now have BOY paperdolls with the same great customizable features! So they sent a mini Owen over for us to try out! Mini Me sent the ultimate boy doll and clothing set (I only wish the clothing were real. Hannah's illustrations are amazing. I'd like to see my Owen in all of them!) And they also sent the Fairy/Folk Tale Line. Now Owen has 12 darling (I mean, handsome and cool) outfits to choose from! His little fingers carefully touched all the pages while I cut out clothing as fast as I could. 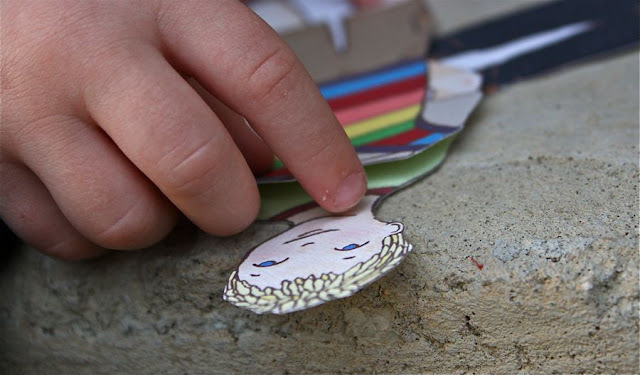 Then thanks to the amazing Sticky Strip, Owen easily placed clothes on his doll and swapped them out, without even worrying about the little tabs. For detailed info on the sticky strip and other Mini Me doll info, see my other post here. Seriously, how cute are these clothes? We took the doll and clothes out on our front porch to play with. We brought Lucy's doll along too so little paper Owen and Lucy could play together. They look like my real kids. It's really cute. Owen was quickly attached to the "rainbow sweater" outfit for his doll and refused to take it off. Whenever I tried to change the outfit without him noticing, he'd turn back around and say " But Mom....he's supposed to wear the rainbow one!" I had no idea the kid had a fashion opinion. had conversations with each other, and climbed up walls. Lucy has always been an imaginative child but she often seems to overshadow Owen when they're playing together. So it was fun to see Owen 1-on-1 being just as creative with his toys. I wanted to get a picture of him with his doll but he kept covering his face. So I said, "show me the real Owen." And he put his paper doll in my lens. "This is the real Owen Mom"
Funny little boy. He's got a good sense of humor too. These dolls are a great gift idea--they're totally unique and remind you of the paper dolls you played with as a kid (with updated technology). 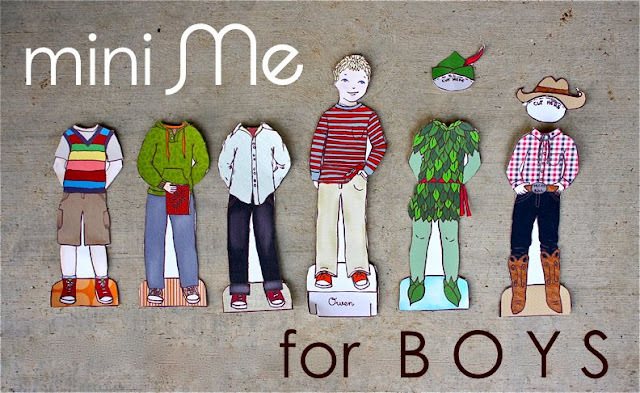 Would you like to try out Mini Me paper dolls too? * For ALL readers, Mini Me is offering a 15% discount to anything in the store, from now until Monday 2/28 at midnight. Just type in "MADE" when asked for a discount code at checkout. 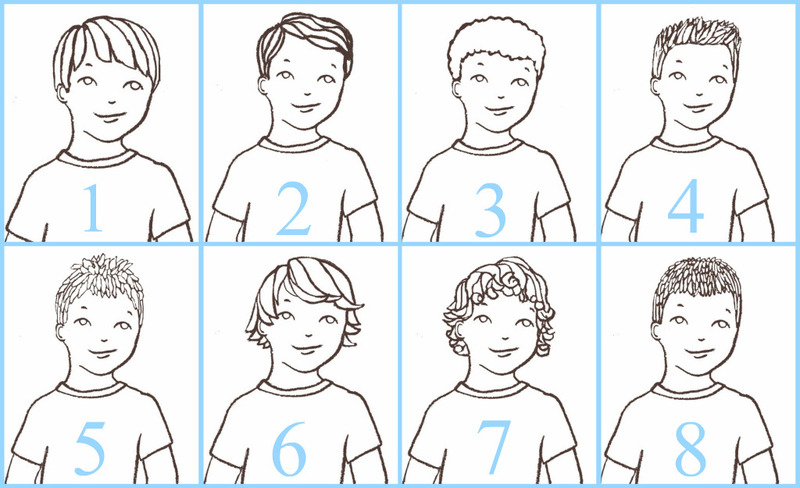 - Pdf files of the doll/clothing so you can print them off if anything tears! * Giveaway ends Saturday 2/26/11 at 8pm (Central Time). Winners will be announced on Sunday. I lovelovelove these. I keep thinking about paper dolls. May I ask how old Owen is? My Monster is still 2 1/2. He too seems more about "active" play than creative/imaginative play right now. You have given me hope that he will mature in this area. These are too cute. Thanks for a chance to win a set. How cute are these, I see paper boy dolls in my grandson's future. 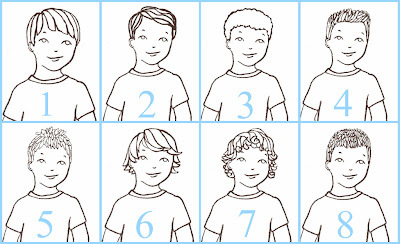 I loved paper dolls when I was growing up! I would love for my kids to have as much fun with them as I did! love these...so glad to see she has boy options now! My boys would love this! And they need something different from the everyday trains and cars. Owen has a lot in common with my three year old. What a great idea for little boys! Thank you for the giveaway! These are adorable, I think my son would LOVE them! what a great idea! my little guy usually sticks to making his dinos growl at each other. would be really great to see him use his imagination on one of these! So adorable - BOTH my boys would love this! Love this idea! Boys don't usually have a lot in the area of dolls to play with. Super cute. My son would love these! 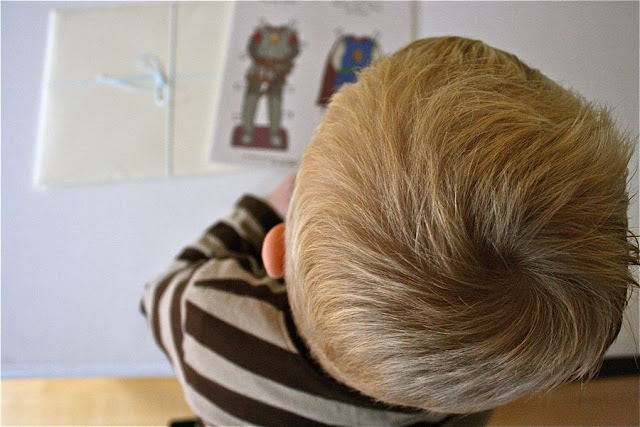 What a wonderful chance to win a fun little activity for boys! Thank you for your generosity! I have three little boys, and the oldest would LOVE something like this! My two little guys would love playing with these paper dolls just like I loved paper dolls when I was younger! These look like great fun. Thanks for such a great giveaway! These are adorable! If I win them they would be the perfect thing for long car rides. I would LOVE one of these for my son. I LOVE these dolls! I want to design one for my son right now! Love these dolls! I'm a huge fan of toys that require the usage of imagination. I absolutely love these. They are so adorable. This is so awesome! I need to have one for each of my boys! Hurray! An international give-away! I'm in! How Cute! My son would love it! I'd love these for keeping my little man quiet in church! thanks for the awesome giveaway, and here's hoping! We play with our Mini Me's all the time! They are the best! The doll looks really nice. I remembered when I used to make my own paper doll when I was a kid. Perhaps my boy will be pleased to play with one too! how sweet... i used to love paper dolls! My son would have a blast with these! I think my preschool son would love these. Thank you for the giveaway! Darling! Thanks for the chance to win one! My 2 boys would LOVE to play with one of these! Digging this awesome Boy Toy! Thank you both! Mama V - vajasigmon at gmail dot com. I love these!! So creative and looks like good ol' fashion fun! Cool! Please can I join. These would be a hit in our house! I've been dying to buy one of these since your last post, but haven't had a good excuse yet. I'd love to try it out! Adorable! 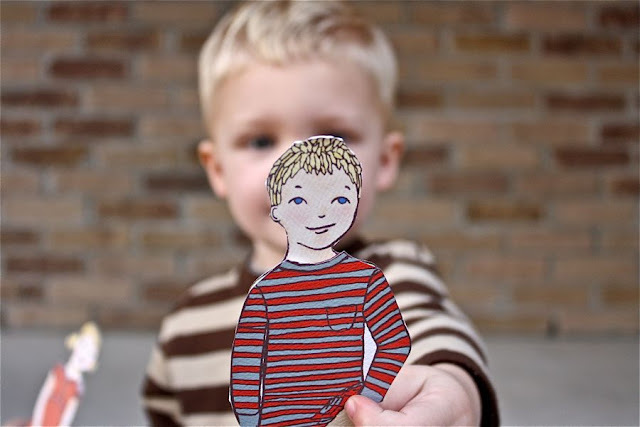 I used to love playing with paperdolls and would love to introduce them to my kids! My daughter would LOVE these! Thanks for sharing!!! Please bless that we can win these!! love them! waow !! 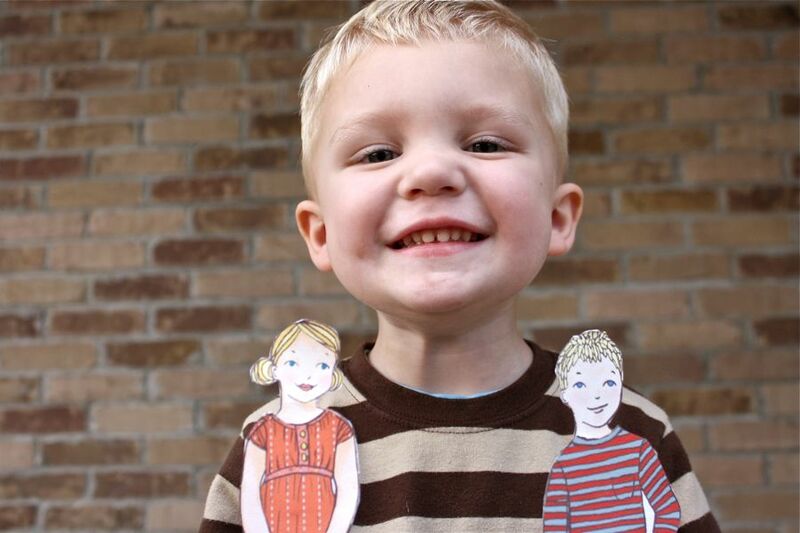 I love paper dolls and my kids too ! I would love to win ! How adorable! My kids (two girls and a boy) would LOVE these. Here's hoping! very cute! my daughter has some and i think my son would like some too! Every time you have posted about these, I have been so disappointed they don't have a boy version. I'm so excited to see that they do now!!! These are really adorable. The illustrations are quite beautiful. I love this! I'm always looking for great toys that will allow my kids to actually use their imagination... Imagine that! 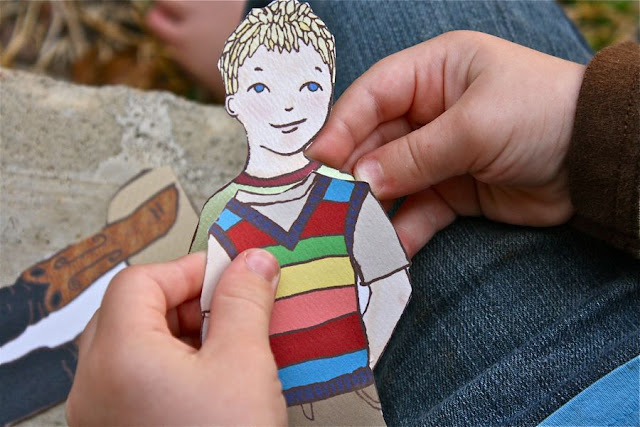 I've been searching for cute paper dolls. would be great! i loved playing with paper dolls as a child...with my boy neighbor! Wow! This is one of the coolest things I have seen for a little guy! I had never even heard about them until now. I can't wait to share this with my other Moms-to-boys friends. My son is going to be over the moon! I adore them...my son will just go ga ga over them!!! I have a 6 yo that would think she died and went to heaven with one of these. WHat a great idea. Would be perfect for his bday coming up, I'm at a lost for what to get him! My son would go nuts for these. How adorable these are. I don't know if my 5 year old is too old to play with this but my daughter and I certainly would! I'm going to buy a girl paper doll and keep my fingers crossed that I win. Those paper dolls are so cute! Thanks for the giveaway. I love the mini me dolls. I got some as gifts for some little girls for christmas. My oldest is a boy and he has finally gotten to the age where he is really using his imagination. A little doll of himself would be so fun to play with! I love it! So cute and so fun! Thanks for showcasing fun things for boys! amazing! love the boy outfits! so cute! 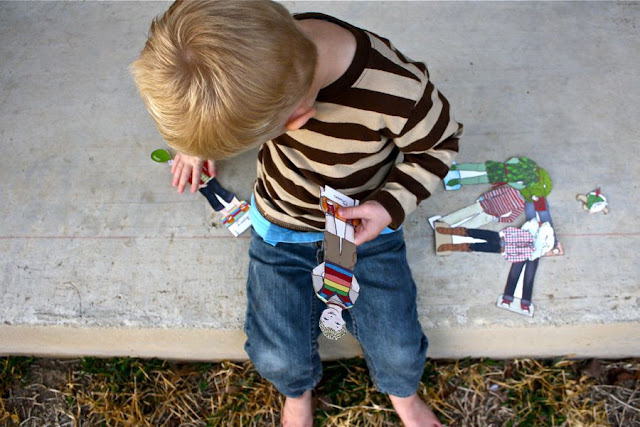 i never thought of paper dolls for boys, but now that i think of it, he likes to dress up - why not dresss up the doll? thanks again for great ideas!! Those are really cute and what a great idea!!! I know a little boy who would love something like that! My twin boys would love these! I may just buy some if I don't win! I have a boy with a boy on the way. What a fun way to use their imaginations! 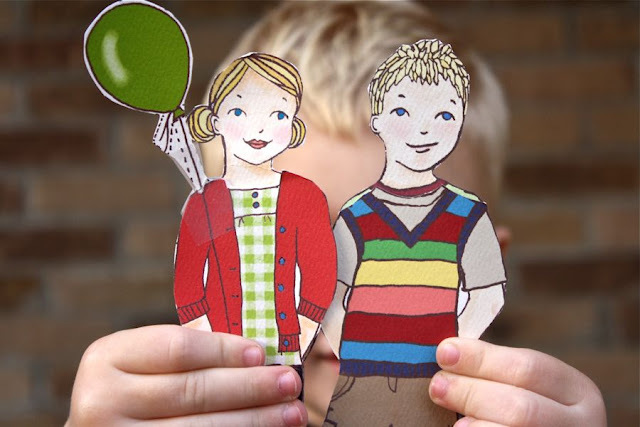 I loved playing with paper dolls as a kid. My three-year-old guy would totally love this -- How cute! Those are super cute :) I wish I had clothes like that ! my 2 year old boy.. gets awfully jealous when sissy plays with hers..
then he would have a really cool set.. but Im pretty certain I would have to go buy her a pair.. ASAP. So very fun! My sister and I had tons of paper dolls growing up. These are great! I remember these dolls from the last time you posted about them! They are darling, I love how they look hand-drawn! BTW, did Owen get a haircut or something? He looks so old! My son thinks his sisters get all the cool toys. Now he can have fun with "dolls", too! Oooohhh, I have been wanting to get these for my kids. Pick me please! I love those dolls ! It will be difficult to wait without going and buying one set already ! Oh please, random selector, pick me, for my son would love these. These are so darling. I'm excited about a boy version!! My kiddies would flip over these! What a great idea! 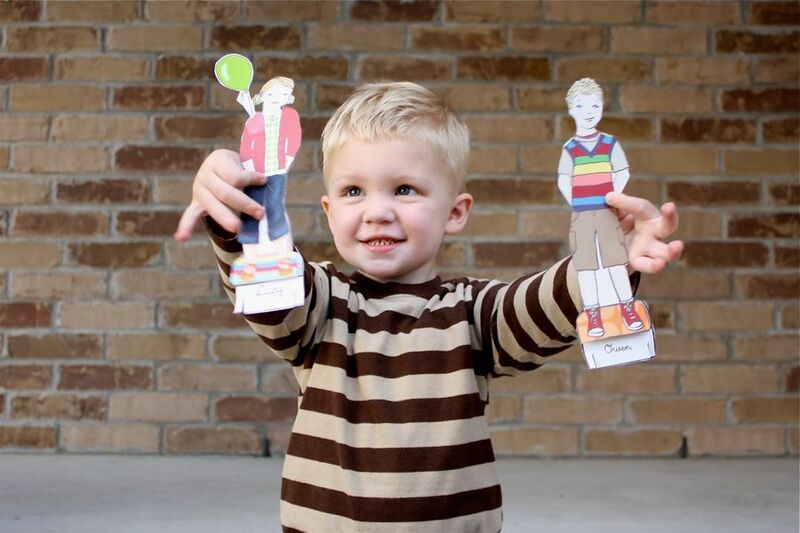 I am so glad that there are boy versions of these great toys - paper dolls! Owen couldn't be any cuter!!! I have three boys. They'd certaily love to get the dolls dressed up. 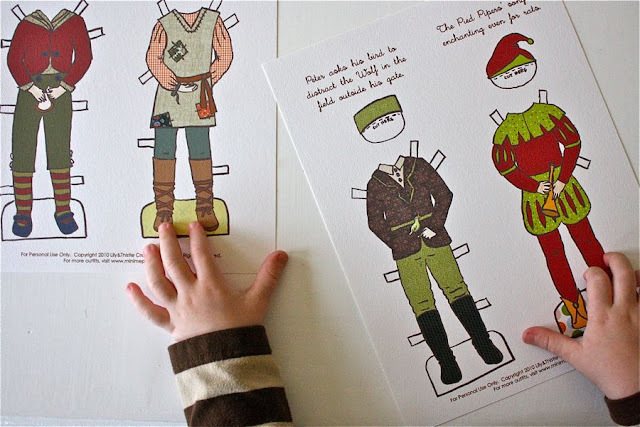 i have loved paper dolls since i was a little girl and i hope its something i can pass on/share with my kids! My boys would absolutely LOVE this. Hooray for Mini Me, busting paper doll stereotypes! Love this! My little guy would love it! That's really fun! I like the Peter Pan outfit. I love paper dolls!! My Oliver is really getting into pretend now and super into his stuffies and dollies. He would love these! I have four boys! I would love to have these paper dolls for them. I am so excited to see boy dolls. How fun! LOVE them! So fun and so cute! I love that dolls are becoming more "guyish" these days -- as boys usually do find it fun to play with them too. These are so cute! (And the PDF is super-smart). those are so cool. so.cool. How fun! My little boy would love these. My son has the best imagination and loves making up characters for himself. He has a great costume collection and these would be perfect for a car trip! These are totally adorable! I'm so going to check these out! I love these dolls! I think my daughter needs one for easter! What a fabulous idea and beauifully designed. 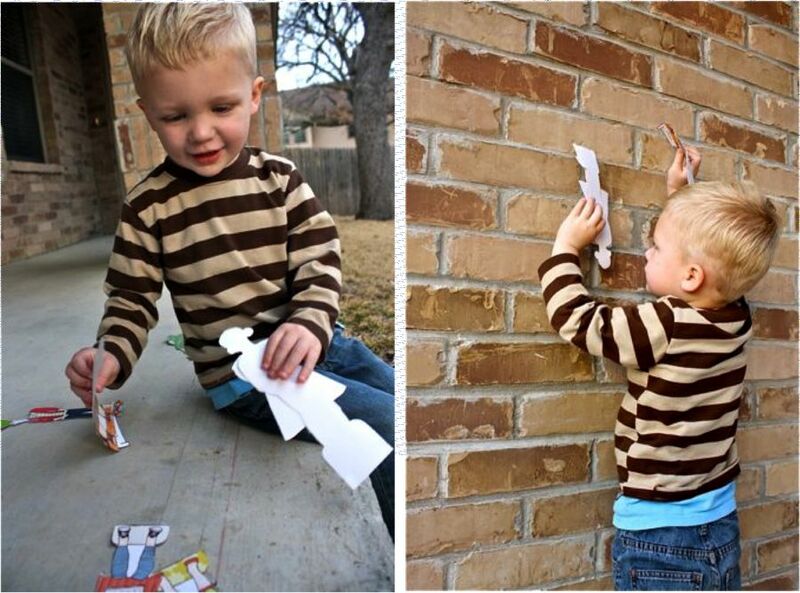 I would love a paper version of my son to play with! Wow, these are so, so nice. It's hard to find little boy paper dolls. Thanks for the giveaway! This would be a perfect birthday (which is in a week) present for my little boy. I've been downloading the Betsy McCall paper dolls for my daughter. These are too cute! Oh these are really cool! Maybe Girly Mom can intersect with fashion-ignorant sons! Mrswaxler(at)yahoo(dot)com. My boy is a little too destructive for these just yet, but I'd love to have a set for him down the track. fantastic, have been looking at these for a while, with easter coming they would be a perfect gift. so perfect for my boy/girl twins...now just to keep the mini me's away from the 18month old! I'd love a set for my son! I can't wait for my two little ones to be old enough to play with these! Beautiful! Thanks for the great giveaway. I think my boys would love these! Too fun! These are ADORABLE! I would love to win one. I've had her site bookmarked for a long time - I'd love to finally own one! So glad that people are realizing that boys like dolls too, and that's okay. :) These are so cute! Thanks for the giveaway. What a fund giveaway! Would love to win. My son would love these. He has a set of knight paper dolls, but the tabs are difficult. Thanks for the introduction! She's so talented! Those outfits are awesome! Oh my!!! I know a little guy that would LOVE these. 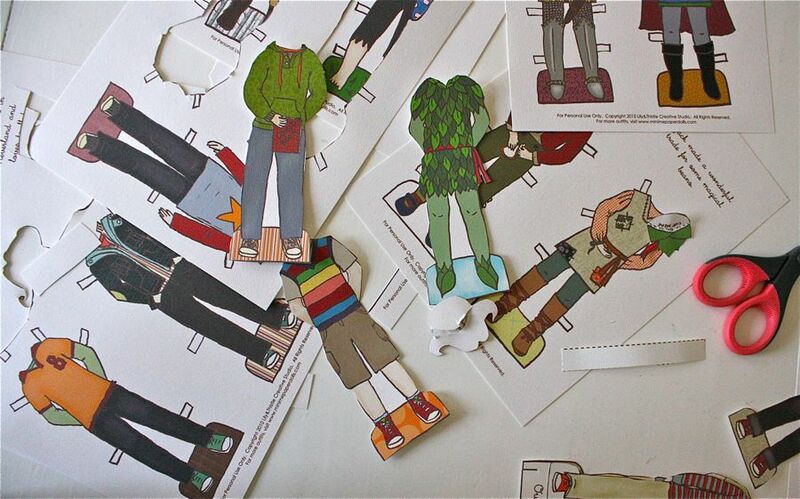 Those paper dolls look AWESOME! Super cute! 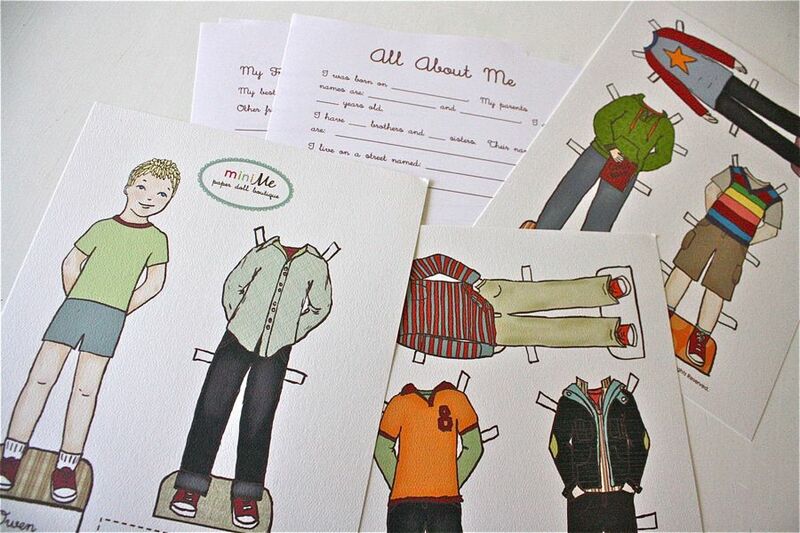 I never would have thought they would have paper dolls for boys. I know better now! Would love to see my son's mini me! So cute.